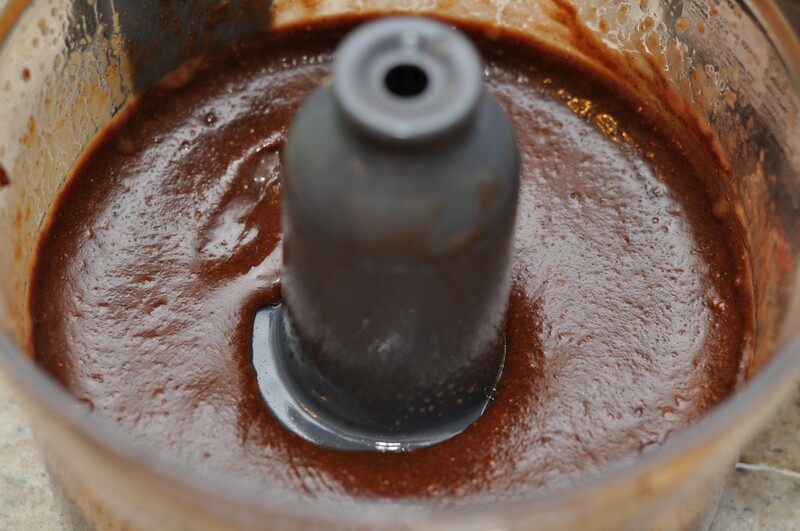 I’ve always wanted to try making a version of Nutella at home, so recently I tried it. There are oodles of recipes online, and the one I tried is from here. It calls for coconut sugar, which I think is a bit of a fad food (not to mention its sustainability is questionable), so I used regular sugar and maple syrup. It is rather delicious, but quite different from regular Nutella. Ben reckons he likes it better because it has a slightly coarser texture. I’m sure you could mix it for ages and get it super smooth, but I tend to have a bad habit of trying to make things like this right at the same time as dinner, so I take short cuts. Here’s how to do it if you want to try it yourself. Roast 1 1/2 cups of hazelnuts in a 300F oven for 20 minutes or so. Pour them into a tea towel and rub off as much of the skins as you can, then place them in a food processor. Process the hazelnuts until you’ve made a hazelnut butter. Throw in a pinch of salt, 3 Tablespoons of cocoa powder, 1 Tablespoon melted coconut oil, 1/4 cup sugar, 3 Tablespoons maple syrup and 6 or so Tablespoons of water. The first time I made this, I thought I could just cut out the sugar and water and use maple syrup instead. It did not work! It really needs the water for it to become glossy. Whizz it all together until you have the glossiness and texture you want — play around with mixing it more or adding more water, cocoa or sugar to get the consistency and taste you want. And there you go. A really tasty yummy chocolate spread that took hardly any time to make. Maybe I’d like this version. I think I liked Nutella only the first time or two, then it lost its appeal. Mix cocoa and icing sugar, then dissolve in hot water. Add butter and beat till smooth. Stir in peanut butter and vanilla. Store in empty jam jars – it will solidify on cooling.